The fact that wine is such a global business was one of factors that motivated me to study it seriously in the first place. My 2005 book Globaloney (named a Best Business Book of that year by Library Journal) included a chapter that examined the evolution of global wine markets and that got me hooked. Globaloney was a heart a series of case studies that together argued that globalization is not an unstoppable tsunami that sweeps away all before it, but rather a complex set of forces that play out differently in different industries. Fast food globalization, for example, is different from slow food globalization. And while high fashion and used clothing are both traded in global markets and acted upon by some of the same general forces, their specific patterns and impacts are very different. Globalization reflects its terroir, I used to tell audiences at book talks, and the volume that Kym Anderson, Vincente Pinilla, and their talented team of authors have assembled take this idea one step further. The core of the book is a collection of historical case studies of how national wine industries have developed in both the old and new wine worlds in the context of global markets. Two things struck me as I read the studies. First, I was excited by how detailed and interesting this research is. Fascinating. Irresistible. I couldn’t wait to turn the page to read more. The second striking feature was how much wine globalization really does reflect its terroir. Although there are some common themes (the impact of phylloxera and the Great Depression, for example), the fact is that wine has developed and evolved in distinctly different ways in different parts of the wine world. Globalization has been an important factor in many cases, but not in the same way everywhere. Let me use the excellent chapter on Argentina by Steve Stein and Ana Maria Mateu as an example. Argentina’s wine history has been shaped by a series of strong internal and external forces. Let’s start with the grapes. Spanish missionaries from the Canary Islands brought high-yielding low-quality Criolla grapes with them and this set the tone for wine-making and drinking for much of the country’s history. French wine authority Michel Aimé Pouget was lured away from his work in Chile to improve wine quality and he brought higher quality grapevines, including especially Malbec. Alas, the authors tell us, Malbec was frequently valued less for the quality of its wines than the fact that they were dark and strong and could therefore successfully be diluted with water without completely losing their identity as wine. Low standards like this defined the domestic market for decades. British influence, in the form of the railroads that they financed and helped to build, had a profound impact on Argentina wine. Prior to the railroads that connected Mendoza and San Juan with bustling Buenos Aires, the domestic wine industry was quite small. Mendoza and environs made wine for local consumption. Buenos Aires residents (more and more of them immigrants from Spain and Italy) filled their glasses with imported wine. Lower land transportation costs changed everything when the train line was completed, expanding the internal market and fostering a wine boom. Anticipating the impact of the railroads, Mendoza officials sent recruiters to Europe to bring back experienced Spanish and Italian wine-growers and wine-makers who expanded the industry. With phylloxera spreading at home and hard times all around, the difficult decision to uproot and replant families and businesses to immigrant-hungry Argentina was easy to make. The list of international and global forces and effects in Argentina is a long one and I only scratch the surface here. In recent decades, for example, the government’s strong-peso policy of the 1990s (the peso was linked to the U.S. dollar) made imports of wine-making equipment and technology artificially cheap and wineries were quickly upgraded. The collapse of this monetary system and the peso crisis that followed made the output of those wineries artificially cheap to foreign buyers, a factor in the country’s wine export boom. Rapid domestic inflation combined with an unyielding exchange rate earlier this decade made the peso over-valued again and the wine export boom fizzled. Policies are changing now. Perhaps the export boom will return, albeit in a different form. Too soon to tell at this point. Argentina’s wine history and its experience with international and global forces is fascinating and other chapters in the book are equally interesting. Wine’s story is a complicated one, with each nation developing and responding in a different way depending on many factors including history, culture, institutional structure, timing, and government policy. This book is a great resource for anyone interested in understanding the wine world today and how we got here. The volume concludes with “Projecting Global Wine Markets to 2025” by Kym Anderson and his colleague Glyn Wittwer, a set of forecasts and analyses based upon their econometric model of global wine markets. Wine Globalization has many strengths that recommend it to a broad readership and one obvious weakness that will discourage some who would otherwise benefit from studying it: the price. If you are not familiar with the academic book market, the price of this volume will take your breath away: $139.50 for the hardback and $124 for the Kindle on Amazon.com. This is how books are often priced by academic publishers, who need to spread high fixed costs over small expected press runs. If you have a son or daughter in college (or are in college yourself), you already know what textbooks cost these days. Incredible. Wine Globalization is a valuable contribution to our understanding of world wine markets. Highly recommended. And that’s not globaloney! The afternoon and evening session moved out of the conference center and into the wineries, so that international participants could take in the landscape, marvel at the wonderful winery architecture, appreciate the warm hospitality, sample the many winery experiences, and of course enjoy food and wine as any wine tourist would. Does this sound like hard work? Very few of our friends feel sorry for us when we post about these experiences on Facebook, but it really is work because Sue and I are always observing and analyzing both what the wineries do (and how they do it) and the reaction from their guests. This was particularly interesting at the UNWTO conference because our fellow delegates were mainly tourism people who see opportunities in wine whereas Sue and I come at this more from the wine side, where tourism is one important element. The organized winery visits were interesting to us because they highlighted the tourism offerings rather than the wines themselves. A reception at Bodega Séptima, for example, showed off its striking architecture and invited guests out to the big patio to stare at the moon and stars through telescopes while sipping wine. Wine tourism and astrological tourism combined. A visit to Bodega Norton featured an opportunity to ride bicycles through the vineyards followed by a late lunch and then a chance to paint with wine (I saw a rabbit in the vineyard, so that was my artistic contribution). Norton’s program stresses active involvement, which is always more engaging than passive participation. The historic buildings and ancient vines were a highlight of our asado lunch at Bodega Nieto Senetiner, where we were treated to a sensory experience organized around a Torrontes perfume and a Malbec cologne. This was interesting even though it violated the first rule of a wine tasting — don’t introduce any scents that might mask the wines’ aromas. It worked as a tourist experience, but would turn off any serious wine lover. Sue and I enjoyed these experiences, but we noticed that something was often missing. The wineries worked very hard to show off their delightful wine tourist offerings, but they missed many opportunities to tell their stories and reinforce their brands. Perhaps this was by design because of the special character of the UNWTO audience, but it seems to me that it is always important to tell your story and build your brand. Two of the most effective wine tourism programs we have experienced are Larkmead Vineyards in Napa Valley and Sandeman in Porto. The two wineries differ in almost every way but this: there is a clear story, which is told in several ways, and everyone you meet tells the same essential story, reinforcing the message. A goal might be for each winery visitor to encounter the defining story three times in three different ways during a visit and to be able to share it with friends. You might call it the “Tommy” tactic (after the rock opera composed by The Who). See me, feel me, touch me, heal me. Stimulate all the visitors’ senses and touch them in a way they won’t soon forget. Perhaps this is the next step that Gabriel Fidel hinted at in his conference presentation, which encouraged the Mendoza wine tourist industry as well as the rest of us to think beyond the current focus on creating experiences. The facilities in Mendoza are world class and the experiences, including food pairing sessions, vineyard walks and rides (on both bikes and horses), and so forth are great, too. All the pieces are here in Mendoza. Now the wineries and local wine tourism officials need to steal a tune from Tommy so that they all come together with the defining stories of the wineries and the region to create an total experience that resonates with visitors from around the world. Sue and I are back from the second United Nations World Tourism Organization global wine tourism conference in Mendoza, Argentina. It was an intense and interesting few days in a welcoming and dynamic part of the wine world. Here are a few things we think we learned at the conference. More to follow. Mendoza has come a long way as a wine tourist destination and they are justifiably proud of their accomplishments. Unlike Napa Valley, which is next door to cosmopolitan San Francisco and fast-paced Silicon Valley, Mendoza takes a bit of effort to visit, so its emergence as a tourist hub, is noteworthy. We were impressed with the renovated airport, which features more flights to more places more often and will surely help boost wine tourism in the future. When Sue and I visited Mendoza a few years ago we noted that it wasn’t very easy for an independent traveler to visit many of the wineries and this problem has been addressed in several ways. Some wineries have opened tasting rooms in the city, effectively bringing the vineyard to the tourist. Among the other efforts is a special hop-on hop-off bus that visits select wineries. How convenient! We also saw many tour operators who put together custom tours of wineries as well as the many other visitors options in region. Mendoza has a lot to be proud of when it comes to wine tourism, but the many Argentine officials and local dignitaries who spoke at the conference’s first session perhaps could have shown greater restraint. Bad news: the talking went on so long that lunch, which was scheduled for around 2 pm, was actually served closer to 6 pm. Good news: our lunch began with deep-fried empanadas served hot and fresh outdoors in the Bodega Norton vineyard. Incredible. Gabriel Fidel is a sort of Renaissance man. Scholar, business leader, public servant, politician — he wears many hats in Mendoza and he has been influential in the rise of the wine and wine tourist sectors. His talk charted the evolution of wine tourism in this region and included a warning not to be too proud of the past, because the future holds more challenges. Twenty years ago, Fidel explained. The challenge was to get wineries to accept visitors at all. They just get in the way! Okay, then once wineries got the messages about the importance of visitors there was a need for facilities, then services and trained staff, and then finally some attention to creating experiences beyond the typical tasting room offer. Wine tourism does not take place in a vacuum, so wineries need to match the programs in other wine regions and take into account the level of service that tourist expect in non-wine settings, too. Now the challenge, Fidel said, is to move ahead again rather than just taking satisfaction in past achievements. Don’t look back, Satchel Paige said, something might be gaining on you. And in this competitive environment, it is gaining fast. My contribution to the conference was a short speech on how wine tourism can be a tool for sustainable regional development. Done right, I argued, wine tourism can benefit people, planet and profit. Done wrong … well, there can be real problems. I cited specific success stories as well as critical issues, highlighting the strategies needed to anticipate and address problems. One journalist who attended the conference wrote to me to say that she hadn’t really thought much about the impact that tourism can have on local people and the world they live in and now she could appreciate its importance. I guess my message got through. We visited one winery where our guide quite unintentionally revealed how wine tourism transforms local communities. His father was in the construction business and, were it not for winery development, that’s what he would be doing, too. But now the opportunities are in wine tourism and hospitality more than traditional occupations such as construction. His family struggles a bit to understand the changing local labor scene (and the changing nature of work itself) and how exactly he can earn a living drinking wine, as they see it, and talking to strangers like us all day rather than working hard to make, build, or grow things. The transformative impact of wine tourism will be tested in Moldova, which was named as the host nation of the 2018 UNWTO global wine tourism conference. Moldova is probably the most wine-dependent country on the planet. Wine is the largest export category and the country is working very hard to open up markets in the west and in Asia and to reduce its long-standing dependence on the unreliable Russian market for wine sales. Selling more wine at higher prices would be great for Moldova, but wine tourism is perhaps strategically more important because of its ability to increase rural incomes outside of wine production and sales. Wine tourism done right stimulates the hospitality industry with potential impacts on crafts and other local industries. Wine tourism has great potential to draw visitors to Moldova and stimulate rural development. Hosting an international conference like this is a big, expensive job. Good luck to our Moldovan friends as they plan next year’s events. Sue took the photos above — the view from Bodega Moneviejo in the Uco valley and the delicious late-lunch empanadas at Bodega Norton. The Wine Economist will take a break for the next two weeks while Sue and I travel to Mendoza, Argentina for the second Global Wine Tourism conference organized by the United Nations World Tourism Organization and hosted by the Argentina Ministry of Tourism. It will be great to return to Mendoza and to have a chance to discuss wine tourism strategies with both old friends and new ones. Good conferences succeed because they work on several levels at once. Keynote speakers, for example, are most useful if they stimulate discussion among conference participants to allow them to shape and share their own thinking. My keynote is about “Wine Tourism for Sustainable Development: Opportunities, Strategies, Pitfalls” and my goal is not to tell people what to think and do but instead challenge them ask new questions and rethink the answers to old ones. The UNWTO welcomes this kind of thinking and rethinking. The organization recently adopted the UNWTO Framework Convention on Tourism Ethics, for example., reflecting the fact that global tourism is now big business and its significant economic, social and cultural impacts must be fully considered. Thinking and then acting — that’s what it’s about. Other speakers will share their experiences from around the world, giving us all a lot to think about! The UNWTO has developed a wine tourism framework or prototype. Yolanda Perdomo, Director of the UNWTO Affiliate Members Program, will present the prototype and Gabriela Testa, President of Ente Mendoza Turismo, will discuss how it is being implemented in the Mendoza region. Mendoza has enormous potential for wine tourism as I explained in my 2013 book Extreme Wine. I highlighted two very different wineries for their tourist experience: Tempus Alba and Salentein. 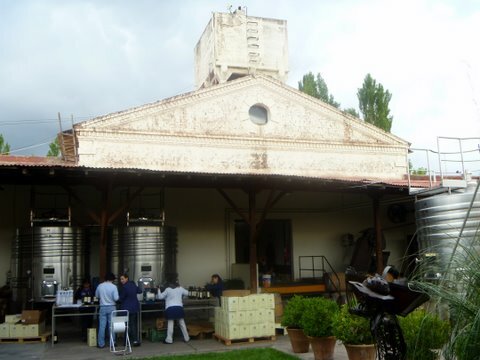 Situated close to Mendoza city, Tempus Alba hosts many young wine tourists who visit on bicycle. 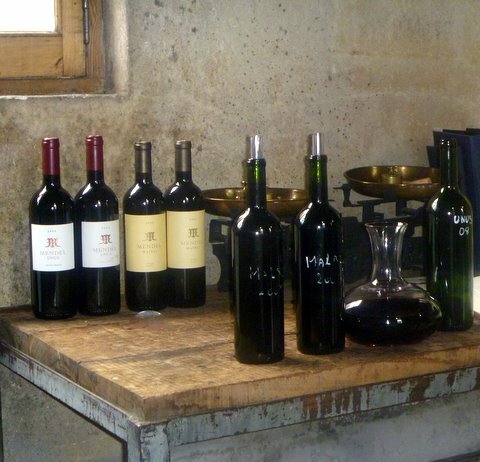 They enjoy the wines and food at the restaurant, of course, and receive an education about Malbec and the vineyard. The vibe is casual and fun, but the approach is seriously thoughtful. I’m a big fan of what Aldo Biondolillo and his family are doing at Tempus Alba. Bodegas Salentein is located high in the Uco Valley and I don’t think many people bike there from Mendoza. It was the first destination winery in this now-booming wine region and features an art gallery, a stunning barrel room dubbed the “wine cathedral” and fine dining, too. As is the case of many Mendoza wineries, the architecture rivals and reinforces the dramatic Andes mountain scenery. Fantastic. The UNWTO conference balances the theory and practice by including a number of local wine tourist experiences in the afternoon sessions. These winery visits will be a lot of fun, of course, but they will be most useful if participants give serious and critical consideration to what works (and why) and what could work better (and how can this be achieved). And then the trick is try to apply those sharpened critical skills to wine tourism offerings, strategies, and policies back home. I will paste below the tentative list of wineries and experiences that will be available to the UNWTO conference participants and, by the way, to adventurous wine tourists generally when they visit Mendoza. The list gives a concrete sense of the diversity of wine tourism offerings available in this beautiful part of the world. Come back in two weeks for more Wine Economist! Cheers (and adios!). Bodega Los Toneles, an urban heritage winery. About this time last year I wrote a pair of columns about prospects for a revival of growth in Argentina wine exports to the United States. Argentina was once the fastest growing imported red wine source (New Zealand has that distinction for white wines), but sales plateaued for a variety of reasons that I analyzed. Can Argentina get its groove back? My 2016 columns were optimistic, focusing on changing politics and economics in Argentina, but, I warned, the U.S. market has changed, too, and Argentina will need to bring different products and strategies to the game to be successful. Argentina cannot hope to simply ride the inexpensive Malbec “signature varietal” horse to renewed export success. The U.S. market is now filled with easy-drinking “Red Blend” wines that compete in the space that Malbec once dominated. Argentina needs to think of itself “like a normal country,” I said, which in this case means emphasizing wines at higher price points where the market growth is today, focusing on terroir and other elements of product differentiation and moving beyond Malbec without in any way abandoning that grape variety. The December 2016 issue of Market Watch magazine includes an article by Angel Antin titled “Argentina Comes of Age” that provides a cautiously optimistic update analysis. No significant change in direction is shown in the data for 2010 – 2015, but lots of anecdotal evidence of new ideas and new directions is presented. Data for Argentina’s wine exports in the first nine months of 2016 provided by Wine by Numbers shows stable total exports over this period, with lower U.S. and Canada shipments offset by rising sales to the U.K. market. The recent success in the U.K. market is obviously welcome for Argentina wine producers, but there is great uncertainly about the future due to Brexit. It would be better to see a broader pattern of export growth. On the whole, it is still too soon to draw any firm conclusions about the impact of the Macri policies on wine exports. Stay tuned. A personal note: my optimism was encouraged recently when I surveyed the “South America” shelf of the neighborhood Metropolitan Market and found just the sort of wine that I called for in my analysis last year. It was a Catena Appellation San Carlos Cabernet Franc 2014 selling in the $20-$25 price range. This wine is an example of how Argentina can add layers to its identity to expand market appeal. It is Cabernet France not Malbec and the packaging stresses terroir. The wine is from a single high-mountain vineyard (El Cepillo is at 3900 feet) in the San Carlos region. The regional element is highlighted by the label’s antique map (although the image is of Argentina generally and not the specific San Juan area). The idea is clearly to differentiate this wine in ways that appeal to wine drinkers who are seeking both authenticity and a different experience. The Cab Franc is part of an appellation series of Catena wines that also features two region-specific Malbecs, a Cabernet Sauvignon and a Chardonnay. Catena is certainly not alone in thinking about their wines and marketing them in this way. (We recently enjoyed a less expensive but well made and nicely packaged Santa Julia Reserva “Mountain Blend” Malbec-Cab Franc from the Uco Valley.) That’s a good thing because no single wine or producer is going to redefine and expand the market. The potential is certainly there. Hopefully we will see positive results in the data before too long. Here is another Flashback Friday column in honor of Malbec World Day, which Wines of Argentina has set for Sunday, April 17. This is a book review from 2012 that links Malbec, Argentina’s signature grape variety, with Diego Maradona, one of that country’s legendary soccer stars. One of the most stunningly creative student papers I’ve received in more than 30 years as a college professor was written by a first year student enrolled in my introductory International Political Economy class. We were studying Argentina’s latest financial crisis and she analyzed the situation not just through facts and figures but rather by telling the story of Diego Maradona, the legendary soccer player who achieved great success on the global stage but succumbed to the pressures, stresses and temptations that came with it. Editor’s note: The way this 2012 book review ends with the reference to a “Maradona moment” is timely because of the recent election of the Macri government. I wrote two columns on Argentina wine’s prospects for revival back in January 2016. Click here and here to read them. Here’s a short video about Maradona. Wines of Argentina has designated Sunday April 17 Malbec World Day 2016. That’s only a week away, so you had better get started thinking about how you will celebrate this holiday. Please use the comments section below to share your Malbec World Day plans. Malbec World Day is a good excuse for a Flashback Friday column since Malbec has appeared frequently in these pages in the context of the Argentinean wine industry. Malbec was, for example, the subject of an award-winning documentary called “Boom Varietal: the Rise of Argentine Malbec” (see video trailer above) that provided my first (and so far only) opportunity to be a supporting character in a film. Here is a column from back in 2011 that honors all Malbec producers by revisiting Mendel Wines (a bottle of Mendel Malbec is on the short list of possibilities for our Malbec World Day celebration along with a “flashback” tribute Malbec from Colomé called Auténtico). Popular and successful Malbec versus TNBT — The (speculative and uncertain) Next Big Thing. The winemaking that goes on in Mendel is also a combination of old and new. The technology is modern, of course, with stainless steel and French oak very visible. The setting, however, constantly reminds you of the past and the vineyard’s and winery’s history. Walking through the winery, for example, I was struck by the big original concrete fermenting tanks – a blast from the past for sure. Mendel also illustrates the balance between local and global that characterizes wine in Argentina, where much of the capital and many of the winemakers come from abroad. Roberto de la Mota, partner and chief winemaker at Mendel, personifies this balance. 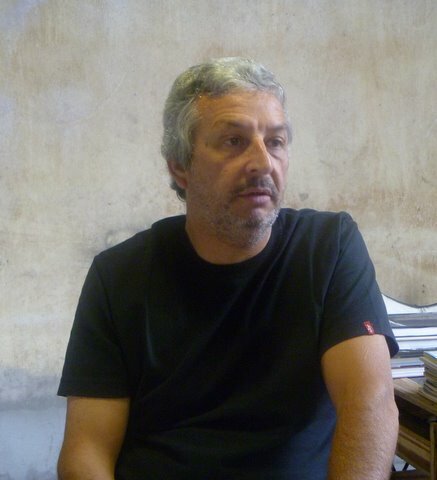 Roberto is the son of Raúl de la Mota, who is sometimes said to be Argentina’s “winemaker of the [20th] century” so important was his work in developing quality wine in this country. And this thirst for a complex balance defines the future. 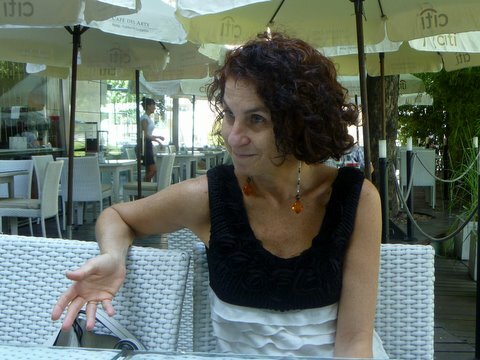 Talking with Anabelle over coffee in Buenos Aires, she was ambitious to break into new markets – Hong Kong, China, and so forth. Anabelle is an architect — another field where global and local intersect.